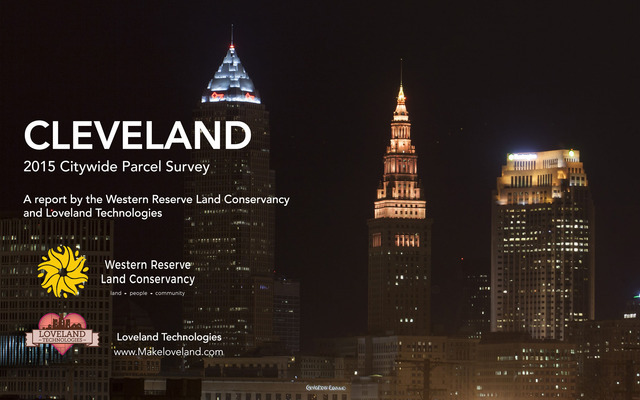 The citywide survey of Cleveland, OH, which began in June 2015, was conducted by Western Reserve Land Conservancy in cooperation with the City’s Department of Building and Housing, Cleveland City Council and local community development corporations. A 16-member staff, consisting of mostly Cleveland residents, worked to survey all of the more than 158,000 commercial, industrial, residential, and tax-exempt parcels in Cleveland – and the buildings associated with them – to provide a snapshot of the current property condition. Information about each parcel – including its vacancy status, the condition of any structures on it and a photo – was recorded on a tablet computer. Click the report to read a summary of the findings, or view the map for property-by-property results.